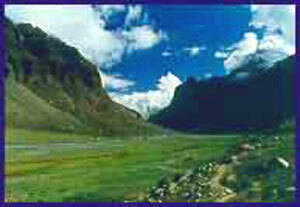 What are the different ways of travelling to Kailash? 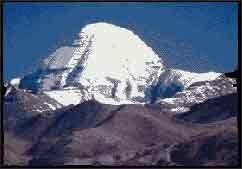 There are 3 ways to reach Mount Kailash from India. 1) By road from India. The Government of India organises tours to Lake Manasarovar. This is a 30 day trek but the disadvantage is that it has to be booked well in advance and there is no certainty that one can go despite being in physical shape, because the number of seats is limited. About 400 people make it from the 6000 that apply each year. 2) By air to Kathmandu and from there by road to Lake Manasarovar at the base of Mount Kailash. Nepal Airways has flights from Mumbai to Kathmandu. They are not particularly renowned for reliability. Flights are often delayed or cancelled. Most travellers prefer to take Indian Airlines from Delhi. This has become the most popular route. 3) Helicopter tours of Kailash for those who are short of time or cannot take the rigours of a grueling high altitude road journey. The tour uses fixed wing aircraft for the flight from Kathmandu to Nepalganj and from there to Simikot. From Simikot a helicopter flies to Hilsa. Landcruisers are then used to reach Manasarovar via Lhasa. 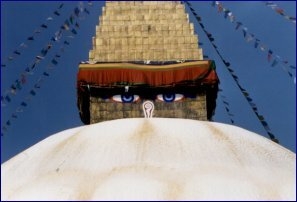 Currently, our associates have on offer the Kailash/Manasarovar tour that originates and ends at Kathmandu. Can a single person or a couple join the group? Tours have fixed dates of departure and even one person can join the group. These tours can also be organised separately and designed to specifications for a minimum group size of 16. What route does the Kailash 17 day tour follow? After 2 nights at Kathmandu, the group leaves for the Tibet border (Zhangmu) on the 3rd day. There is a 2-night halt at Nyalam, with an additional date for acclimatising to the height. Thereafter halts are at Saga, Paryang and the sacred Lake Manasarovar. 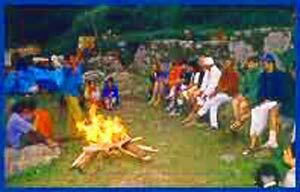 This is followed by the 3 day Kailash parikrama. The return route is the same. Each day there is an incredibly beautiful and equally exhausting drive for 8 hours or more, on rough and rugged terrain. There are no metalled roads in this part of Tibet. Which is the best time to go on the tour? TThe Tibet plateau is a dry region and rain/precipitation is very little so any month between May-September is good weather wise although May and September will be colder. However, June-Sep, is the rainy season in Nepal and on the road to the border, landslides do take place and might require a 5-6 km walk. Fitness: I am concerned about the level of fitness required. Please advise. Fitness is crucial. It is advisable to get a medical examination and check with your regular doctor before you plan this trip. Anyone suffering from back problems may find the long drives over bumpy roads difficult. People suffering from asthma or any kind of dust allergy are forewarned that the amount of dust on the road necessitates wearing a mask. Anyone with serious health problems are advised to get a medical check up done and strictly go by the advise of their doctor. Apart from that, it is a good idea to prepare in advance with brisk walking, and some regimen of exercise or preferably yoga asanas and pranayama. While the average age of yatris is 45 plus, fitness cannot be over-rated. 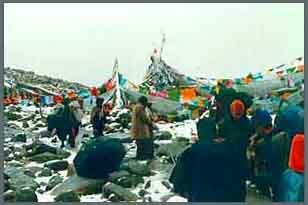 Eventually, for most people the Kailash parikrama is an act of faith. How much walking is required on the 17-day tour? During the rainy season (late June to Sep), there is a strong possibility of landslides en-route to the Tibet border. This stretch varies from 3-5 kms and has to be walked. After that, you will need to walk during the parikrama, if you decide to undertake it. This is a 54-kms/3 day trek done at an average altitude of 15000 ft and the highest point is the Dolma La (Pass) at 19,500 ft. Attempt walking the entire distance including the trek up the Dolma La only if you are extremely fit physically. If you are reasonably fit, hire a yak or horse (limited numbers available) for the 3-day parikrama (the rate varies but is about Rs 2,500). You will need the yak on Day 2 of the parikrama on the ascent to Dolma La. But knowing the behaviour of the yaks and the yakmen, you should be prepared for walks on the first and last day of the parikrama. On these 2 days the walks are in general over level ground (i.e.with no major ascents or descents). Walking 8 hrs a day is required. However, there is the option of not doing the parikrama at all and staying behind at Darchen at ones own cost. The tour organizers can pick you up after the parikrama. Many people opt for this. How should I prepare myself for the 17-day tour? Both mental and physical fitness is required to complete the trip. It is one of the toughest land journeys on earth. But elderly people have done it and so can you. Physical preparations include ANY or all of the following: walking 4-5 kms a day, swimming, playing badminton, jogging, freehand exercise, climbing a 10/20-storey building etc. All this not only helps muscle development but also expands capacity of the lungs, which is vital in high altitudes due to lower levels of oxygen. This is not a yatra in which you can depend on 'palkis' or ponies to take care of you. You have to depend on your own reserves of strength and stamina. Mental preparation means being absolutely positive about wanting to complete the journey. Yoga helps. A medical check up is strongly recommended. Take your personal physician's advice on your participation. How safe is it for Indians to move around in Katmandu these days? Also given the recent disturbances in Nepal with the insurgents, do you think the road trip in Nepal going north of Kathmandu (i.e. to and from Zangmu) may have some security problems? We do not foresee any problems for yatris. What kind of food is served on the tour? For breakfast one gets high energy and nutritious beverages like complan, bournvita, horlicks along with tea/coffee. There is porridge/cornflakes and the menu alternates pancakes, upma, pakoras etc., and bread with butter. peanut butter, jams are there. Lunch is generally packed and served at a scenic spot. It consists of a tetra pack (Frooti etc), puri/chapatti & vegetables, tinned fruits/sweets, pickle. Dinner is at the campsite and the menu is very varied with soup, and Indian, Chinese and European cuisnine and a desert. The food is tasty, wholesome and nutritious. Water collected from streams near the campsite is boiled and hence safe for drinking. You can add iodine drops or chlorine tablets. What is the layout of the campsites? Campsites have excellent locations next to a clean water source. Sleeping tents are laid out next to each other. The dining tent (with table & chairs) and the kitchen tent are near the water source. The 2 toilet tents are at an extreme end of the campsite. The toilets have dug-pit loos. High altitude sleeping bags and carry mats which can withstand very low temperatures are provided. Try and make friends with the Tibetan guide and driver. They may appear stand-offish initially but are warm and simple people. Small gifts like Hindi movie cassettes, dark glasses, a cap/hat etc. go a long way in overcoming language problems and establishing rapport. The first two to three days are particularly tough as you get used to the rigours of the journey and acclimatise to the sudden change of altitude. This can cause breathlessness, lethargy, drowsiness, nausea, lack of appetite, sleeplessness, headache, irritation, anger, lack of judgement. Drink plenty of water (4-5 litres a day), remain calm and quiet, avoid petty arguments, rest as much as possible, eat properly at mealtimes. Talk to the helpful and caring staff and inform them of any difficulties. If you are not allergic to sulpha drugs (please consult your physician), take one tablet of Diamox at Kathmandu the night before leaving for Tibet as well as on the 2nd and 3rd nights, or even longer. Alternatively, take half tablet in the morning and half in the evening. Oxygen cylinders and Gamow bags are carried for anyone having major problems. If you can't do the parikrama, say so. Don't take the altitude lightly. Many people understand at Darchen that the parikrama cannot be done by them and decide accordingly. We will make alternate arrangements for you to stay back at Darchen (at extra cost payable directly to the lodge, approx Rs.2,500). The yaks: No story of the Kailash tour is complete without mentioning the yaks and the herders. Anyone who's done the Kailash parikrama will tell you legendary stories about this animal! Along with your pride many myths are broken on this trail. Remember, they are NOT trained and domesticated. They are extremely surefooted creatures, but they walk and act at their own whim and fancy, opblivious to their rider. This is a great source of amusement to the yak herder as well and brings about nervous laughs from fellow pilgrims in the same predicament. There is little concept of customer care in the Tibetan highlands! So, you could try a gift for the yak herder on the first day, expect and accept the rigours of this journey and follow the principle of the Tibetan Buddhists who undertake it - chant a mantra continuously.